Poseidon’s new whistle panel includes all of the standard reduced visibility repeating signals at the touch of a finger. 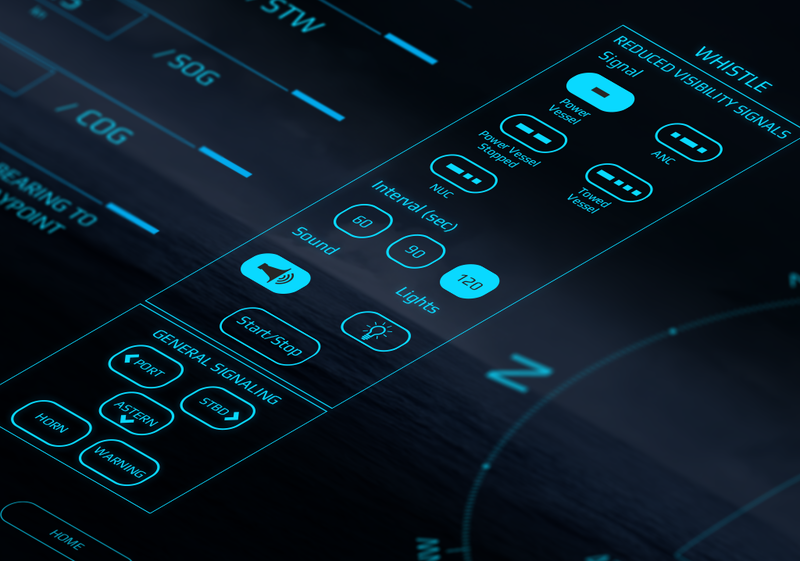 This panel allows for chosen intervals and automated general signalling for manoeuvring to Starboard, Port, Astern and Danger signals in accordance with IMO Rule 34. It also carries reduced visibility signalling for power vessel, power vessel stopped, anchored, towed or not under command in accordance with IMO Rule 35. The Whistle Operating Module connects to the Poseidon System via one of the standard NMEA2000® networks and is just one of many additional features to this powerful system. Poseidon’s graphics library contains a wide range of pre-installed options and features ‘drag and drop’ technology, ensuring simple user configuration throughout. At the heart of Poseidon’s fully configurable control and monitoring display is a compact computer unit with a powerful Quad Core Processor, durable in all marine environments. 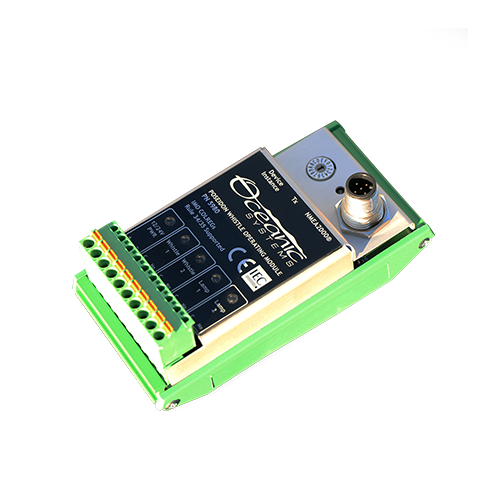 This system controls and monitors systems including, but not limited to tank levels, engines, AC power and digital switching, DC power and digital switching. It also controls and monitors temperature, bilge and fire detection systems, cameras, weather information and navigation information. Test drive Poseidon and the Whistle Operating panel today on Oceanic System’s website.